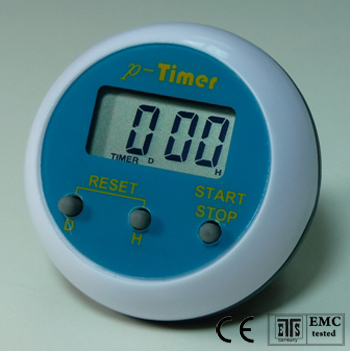 This is a day and hour timer. It is possible to adjust day and hour as you wish and countdown to remind you important event to be happened within 100 days. The maximum capacity is 99 days and 23 hours, with 1 second resolution after countdown to 1 hour. The display format is designed to automatically convert from DD-HH to HH-MM after countdown to 1 day, then convert to MM-SS after countdown to 1 hour. Upon request, magnet on the back to be able to stick on refrigerator or iron plate. Emphasized audible alarm sound to be able to hear from 10 meters distance. Many kinds of various versions available for different applications.